This Therapeutic Shea butter Skin Salve is great for those suffering with Eczema, Psoriasis, Diaper rash, Sunburns, tattoo healing, minor surface skin wounds or irritations. Tamanu oil, carrot seed oil, Egyptian Geranium & Lavender. Rave reviews from Farmers market customers. 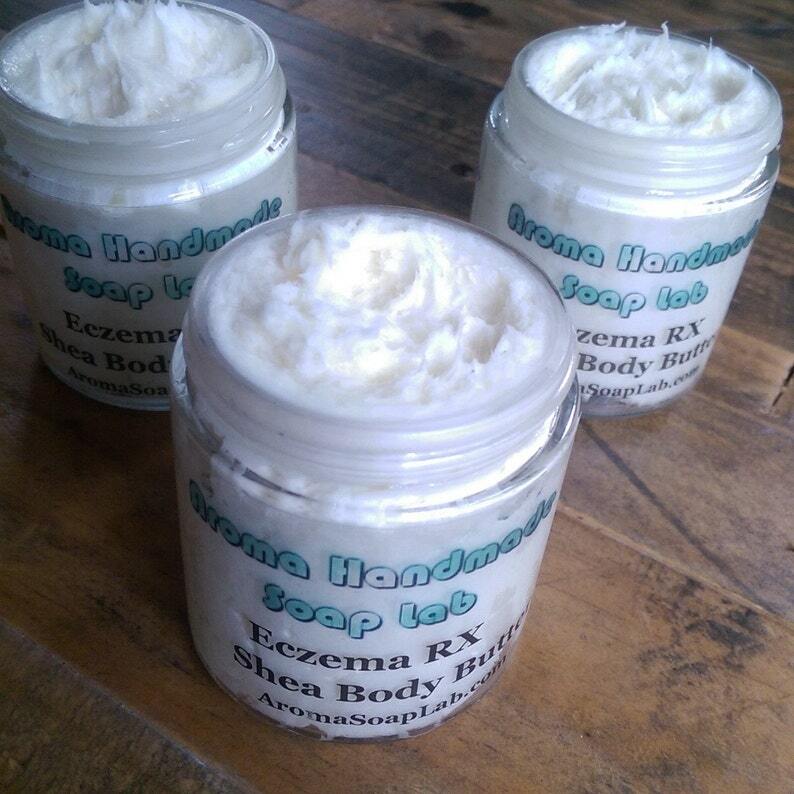 Use in conjunction with our GOATS MILK RX soap & you'll see amazing results! A little goes a long way, apply am & pm. Tamanu Oil :Tamanu oil is a remarkable topical healing agent. A nut oil with skin healing, ant neuralgic, anti-inflammatory, antimicrobial, antibiotic and antioxidant properties. Wild Egyptian Geranium :Geranium Egyptian Essential Oil is well known for its skincare properties. It can be used to even out oily or combination skin complexions and is said to nourish and re-hydrate dry and mature skin. Geranium Egyptian can also be used to calm irritated problem skin. I would have rated higher, but this one didn't really condition my hair and was still priced rather high. After some while the scent was not so good. The seller was kind.